Another day to celebrate chocolate. During the first lecture of one of my pastry classes we covered the origin of chocolate and the different types. Unsweetened chocolate, as the name implies, has no sugar and is just pure chocolate. Bittersweet has at least 35% pure chocolate and some sugar. Semisweet also has at least 35% pure chocolate, but adds in cocoa butter along with sugar. 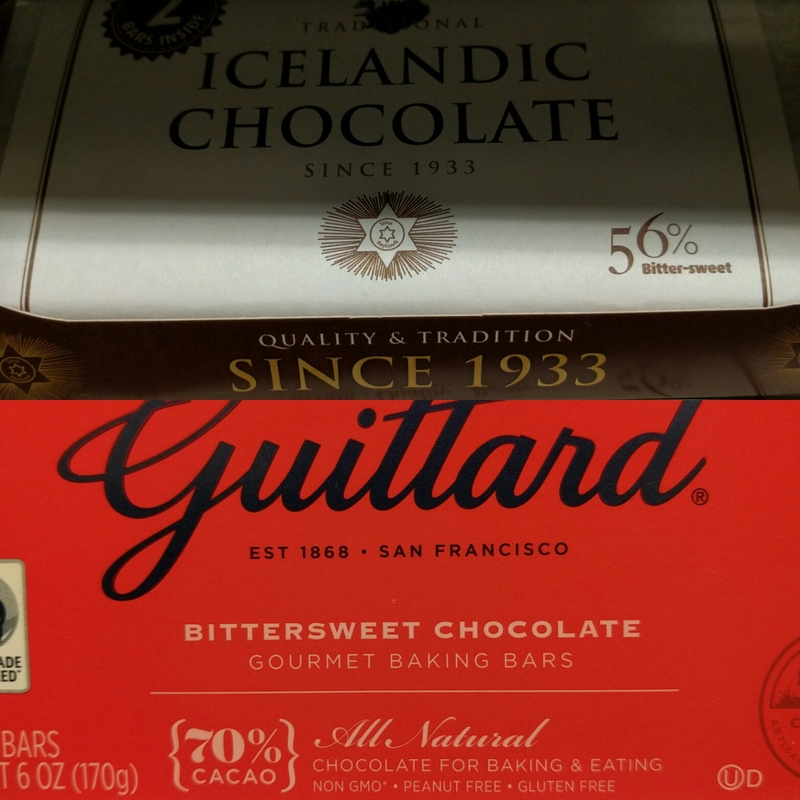 Depending on the country of origin, bittersweet may also be labeled as dark chocolate. What's important is the percentage of pure chocolate. 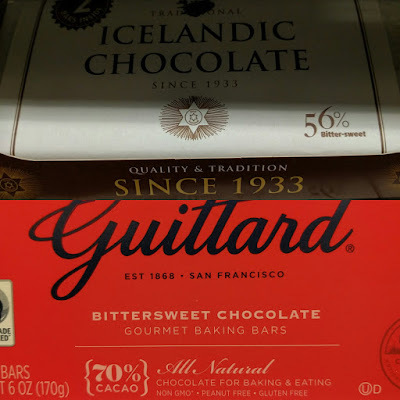 I like the dark chocolates, but nothing too bitter. Usually go with something in the 50% range. Higher than that would be best used in cooking, not eating.